Have you ever lost track of your friends and family? 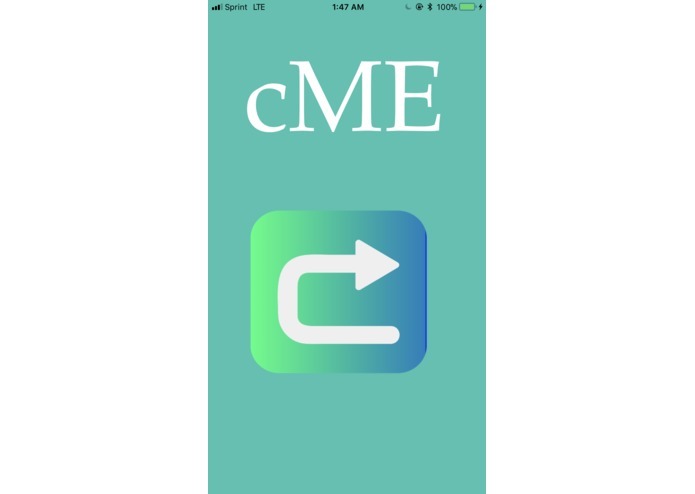 Never be alone again with cME. Whether you are at a concert, UGA football game, or even the mall, chances are you might have had trouble finding your squad. We have all personally dealt with this, and we want to eradicate this problem of losing track of your friends and family. Our solution is cME! Never again lose track of your friends or family. Our app lets people find their friends and family using the power of augmented reality. They can open the application and it will take in the gps coordinates of the other phone and calculate the distance between two phones. The AR object is currently placed at the coordinate where the app is opened. The database is continuously populated every 5 seconds with new coordinates based on the phone's position. we used Swift programming language in xCode version 9. We used an amazon dynamo database to hold the GPS coordinates of the phones. We pushed and pulled GPS coordinates from two phones to the database. This database was populated with new information every 5 seconds. We calculated the distance between two coordinates in meters to know where to place the AR object. 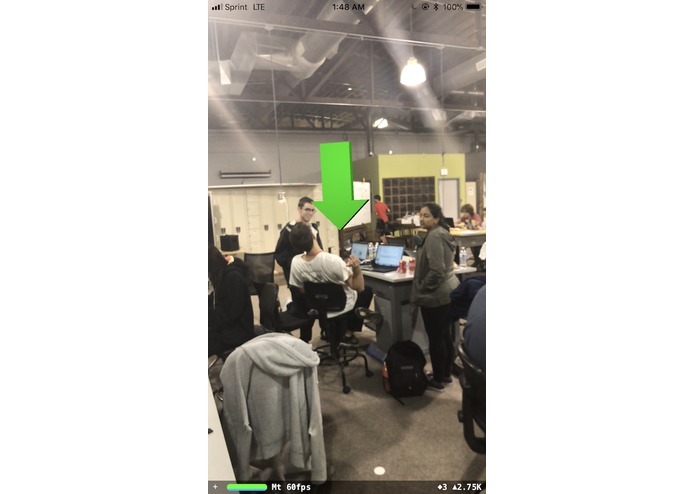 The AR object (an arrow) was manually designed and was implemented to be placed at the coordinate where the app is opened. Trying to get the app to communicate and send data to the AWS DynamoDB was definitely the hardest part of this project. Besides that exhaustion and hunger. Doing/Learning all of this in 36 hours. Seeing that it was our first time with AR, we all feel very accomplished with how far we got. Finally getting the app to communicate with the AWS DynamoDB was very awarding. This was everyone's first time using Swift, xCode, Augmented Reality, and AWS so there was a lot to learn. We figured out how to get the latitude and longitude using a library on Swift called CLLocation. We then sent that data to AWS DynamoDB to save it in the database. Next we figured out how to pull the data from the database. Then we calculated the distance our phone and the individual we were trying to find. 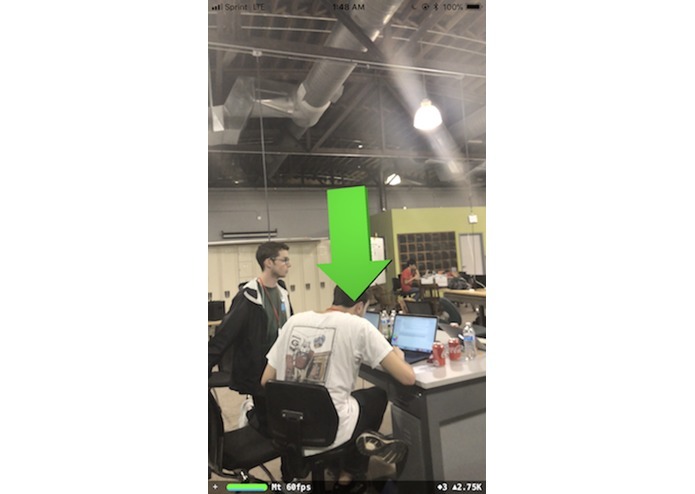 Try to dynamically update the AR arrow's location based on the location of the individual being tracked. Display the distance between the individuals above the arrow instead of printing it out to the console. Include a login feature and add friends feature.